Deliberate Intent – Release Day! The day has finally arrived. Book two of Shadow Company is live at Amazon. One of my beta readers commented, “The book is intense.” I agree. She also pointed out I left two story threads slightly unraveled. Again, I agree. 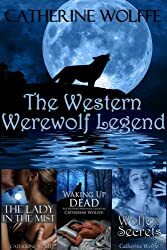 I want readers to be intrigued enough to want more. I hope you won’t be disappointed. Instead, I hope you’ll look forward to book three for answers. Katie and Duke are nothing alike. He’s a grounded in reality ex-SEAL with no place to call home. Katie is a small town girl born and raised. She believes in medicine and natural medicine. She believes in magic to some degree. Yet, Duke and Katie can’t deny the attraction between them. Tracking shadow walkers is dangerous work. When magic’s involved, there’s always the threat of the unknown. Katie discovers her friend, Logan has been charged with a crime. Working to save the life of their friend leaves them with no place to go but each other for help. Here’s an excerpt from Deliberate Intent, Book Two of Shadow Company. Katie stormed the stairs like an operative on a mission. Duke answered the door on the third pound. “Where’s who?” Duke wondered absently if she looked as beautiful as he remembered or if the picture was simply the stingy light swinging precariously overhead. Her breath came quick and hard. The skin along her collarbone flushed red with agitation. “I don’t know.” Duke shook his head. “You’re lying. All alike-men,” Katie muttered. Turning, she started for the door. Without giving him time to answer she threw up her hands. Temper simmered under the surface of her pristine skin. Duke imagined reaching out to touch. He wanted to trace the red flush of anger along her cheek. “Easy. I’ll get some clothes. You want something to drink? Water?” A quick swipe toward the kitchen counter brought no response. Time to grab his jeans. “Hurry up. I haven’t got all day.” Pacing with the anger seething from her pores, Katie snarled at the candles in the duffle tossed into the corner of the tiny apartment. “He wouldn’t go anywhere without those.” Pointing to the warlock tools, she pivoted before returning to stand in his personal space. Almost nose-to-nose with him now, Katie glared into his eyes as if trying to examine his soul for the truth. “I want you to take me to him.” Her finger appeared in his face. “And don’t even think about any funny business, understood?” Huffing out a breath, she shoved him in the chest. “It takes a village to publish a book.” Someone once told me, or so I believe. I am an Indie Author and proud of the fact. As such, I ask for assistance from friends and family. Thank you to the wonderful people who gave selflessly for my story. Without my beta readers and supporters, my books would not be possible. My sister is my rock and support through the whole process. Thanks to you all for everything! 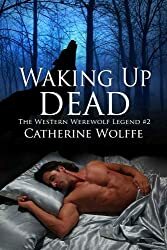 Posted on July 26, 2017 Author catherinewolffe53Categories Amazon, Beyond the Veil, Catherine Wolffe, celebration, New Releases, paranormal, Romance, samples, Social MediaTags amber, amulet, dreams, head strong, military, mind manipulation, Navy, seer, shadow walkers, snippet, stubborn, writing4 Comments on Deliberate Intent – Release Day! Happy Friday, everyone. This week, I’m sorting through the plot of Deliberate Intent and came across a secondary character scene that pretty much sums up the problem facing Shadow Company. The backstory begins with dreams so real they can kill you. Shadow walkers have upped the ante with their mind control. Manipulation is the key to garnering power when the dreams evolve into reality. So the new puppeteer, The Sultan, creates nightmares for our team members. 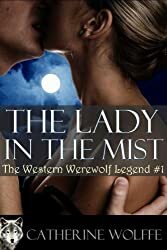 One such dream has Logan Latimar, the warlock from Beyond the Veil, so concerned, he asks his fiancee, Aubrie Sinclar, the seer from book one, to visit the woman featured in his nightmare to see if she can figure out who’s behind the trouble. Here’s the meeting between Aubrie and Connie Colter, Logan’s former lover. The dirt road rambled through the countryside outside of Cheniere Station like a lover eluding capture. Not intending on going anywhere except back into her lover’s arms, the road ended abruptly when that lover reached for her. Dust swirled despite the dew lingering in the canopy of trees bordering either side of the dusty road. The air hung heavy and sultry. Aubrie got out of the car, eyeing the ramshackle house, the last façade of a fallen hero. He was a farmer at heart. The essence of Luke Colter, SEAL team six team member and friend of Logan’s, lingered in the telltale remnants of the barn and rusting equipment. “Sorry I dropped by so early. I wondered if we could talk.” Aubrie scrubbed her hands on the back pockets of her jeans. “Sure. Come on in. I got coffee.” Shoving off of the porch support, Connie sauntered back through the broken down screen door one hip at a time. There was no hiding the fact. Aubrie’s visiting Logan’s former lover to ‘chat’ was highly suspect. “Logan said you were dealing with some things. Asked me to talk to you. Since I’m a seer, he thought I might be able to help.” The shrug wasn’t planned. Wincing inside, Aubrie glanced about the drab kitchen with its faded paint. Light spilled in the one tight window over the sink. Somewhere in the shadows, a room fan hummed in the silence. Connie’s scrutiny made Aubrie uncomfortable. Funny, but the woman seated across from her seemed to be reading Aubrie’s mind, instead of the other way around, she mused. Aubrie shrugged again. “You know how men are. They get spooked when a woman says she’s got troubles. Seems like feminine wiles aren’t their forte’. Connie was harboring some resentment. That was apparent in her words. Careful not to poke at the fire brewing, Aubrie sipped her coffee. “I guess. You want to tell me what’s going on? Maybe I can help.” Her fingers slid around the cup for safety. No sense in reaching out and accidentally seeing what the woman wasn’t going to volunteer. She’d have to go with what Connie offered. Doesn’t make it stick. The words rang in Aubrie’s head. She wheeled. The light went out for a second before she reached the front door. Somehow she made it down the steps. Where had the lead in her step come from? Her breath came in short, hard pants. The constriction in her chest was real. Behind the wheel of the car, she cursed the anxiety attack for zapping her nerve, Aubrie turned the key in the ignition, spinning out as she left. Trouble’s brewing in Cheniere Station. Deliberate Intent is nearing a close, which means a release date is coming up. In the meantime, check out Beyond the Veil, Book One of Shadow Company for the start to the series. 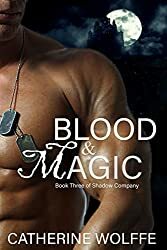 SEALS and magic collide in this test of wills. Thanks for dropping by. I would love to hear your thoughts.